I expected to be cheated in Argentina. 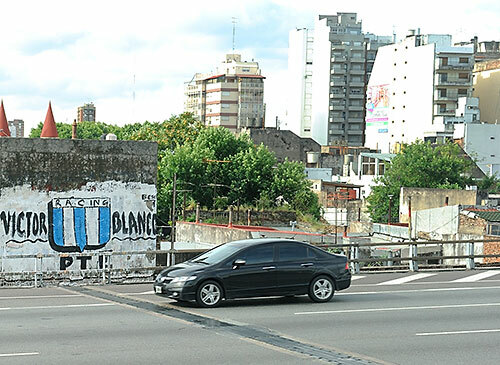 Transparency International ranks the land of Menem and Maradona even lower on its 2014 Corruptions Perceptions Index than such exemplars of civic virtue as Mexico and Bolivia. Travel guides warned me that porteños applaud successful tricksters, celebrate a cynical, every-man-for-himself philosophy of viveza criolla. (“Made the law, made a loophole” is in Wikipedia’s entry for viveza criolla.) I resolved to study receipts, count pesos proffered in change. That’s how I felt going in. I counted off five 100 peso notes, slid them to his side of the counter. Everything in my manner indicated that I thought this was the price of a ticket, and expected nothing in return. “This is too much,” he said, firmly and politely, and returned three of the notes. The fare was 130 pesos. He only needed the first two notes to make change. That exchange served as a promising — and accurate, at least for me; maybe I was lucky — harbinger of this tourist’s dealings with retail in BA. I was a victim of the squirt crime described here, but found no more reason to distrust proprietors and cashiers than I find in the states. And yet Buenos Aires is utterly corrupt. Porteños assured me that it is. I left no less opposed to such corruption, but aware that I had to revise my impressions of life in a corrupt society. The corruption may be specific, exist in some transactions, and not in others. She said she didn’t think it was fair to single out the infamous military dictators of the Argentine dirty war as corrupt. They certainly were corrupt, she said, but all other Argentine administrations have been corrupt, too. “You go to the office of so-and-so because you need an approval for something. He tells you it will take six months. I thought this interesting enough to warrant a post, but know I’m not a worldly guy, despite my recent travels, and don’t feel qualified to draw hard-and-fast conclusions. I suspect, as an international newbie, that pandemic corruption draws a dense canopy over the doings of a place, makes them opaque to outsiders. 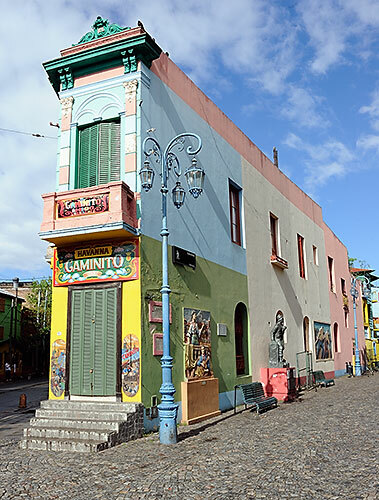 Argentina defaults on its debt, doesn’t have any money, not one peso … but, whatdoyouknow, some pesos are there after all, if you know how to shake the mattress, and where to grab it. In Greece, said to associate taxation with centuries in thrall to the Ottoman Empire, Google’s Satellite View turned up 16,974 swimming pools in Athenian back yards … or, 16,650 more pools than the 324 declared by Athenians on their tax returns. Business people and diplomats must exchange a vast, hand-me-down lore of people to see and strings to pull to get anything accomplished. Of course, the United States is no stranger to such antics. Transparency International gives us a middling 74, tied for the seventeenth spot among 174 surveyed nations. That’s light years ahead of worst-in-the-Americas Venezuela but six points behind Canada, the Western Hemisphere leader. Clean government is, on one hand, an immensely important issue to me — I am strongly attracted to the aboveboard places, marvel that Denmark hasn’t plastered their #1-on-the-planet TI score all over their home page — but also an issue that reminds me of my naiveté. Do I really expect investors not to try to influence the fate of billion dollar projects, or politicians to take no heed of who can help or harm their careers? Really? Perhaps this is true: that the pressure to make a shady arrangement is strong, constant, and inevitable, but that the society that most successfully resists that daily pressure earns a lasting advantage. Look at TI’s top ten, in order: Denmark, New Zealand, Finland, Sweden, Norway, Switzerland, Singapore, Netherlands, Luxembourg, Canada. I believe that the world envies these countries. The world might understand why strings get pulled and skids greased in Venezuela, but I doubt many want to set up shop in Caracas and try their hand at skid greasing, too. I left feeling much more optimistic about Chile than about Argentina, largely because Chilean government is so much cleaner. Photos from my trip to the Southern Cone are online in albums for Buenos Aires, Valparaiso and Santiago. 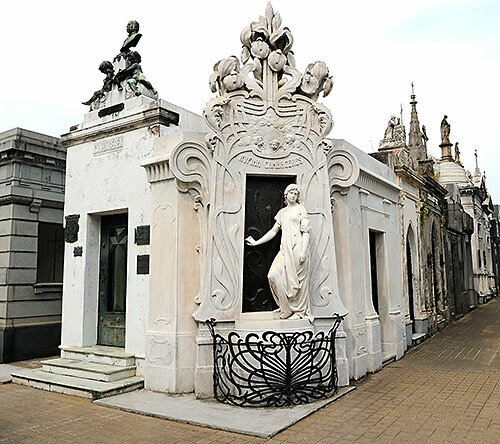 If you visit BA, I heartily recommend a half day at the Cementerio de la Recoleta. The dead interred therein aren’t corrupt, or are corrupt no longer.